Jacksonville Museum #2-Brunner Building | Historic Jacksonville, Inc. Shortly after the Table Rock Saloon closed in 1914, the residents of Jacksonville began lamenting the loss of its “Cabinet of Curiosities”—a collections of pioneer artifacts and relics that owner Herman von Helms had amassed. After Paramount Pictures released “The Covered Wagon” in 1923—the industry’s first historical “Epic Big Screen Western”—it intensified local interest in “old pioneer days” since the silent movie depicted the settlement of Oregon. “The Covered Wagon” became one of the most popular and critically acclaimed films of the first half of the 1920s, and a Jacksonville museum became more than wishful thinking. 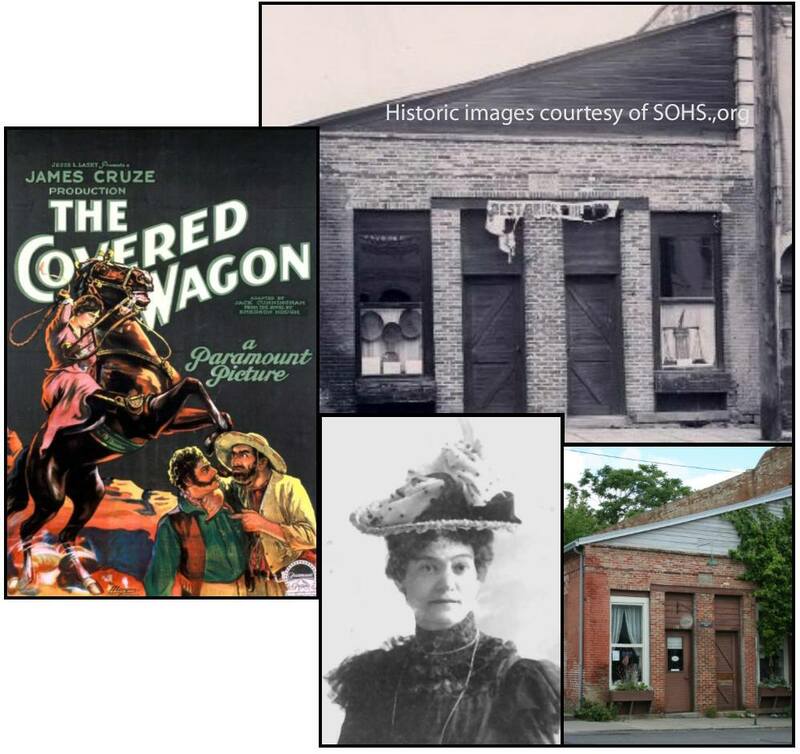 Inspired by the film and the upcoming Jacksonville reunion of the Pioneer Society of Southern Oregon, Mrs. Alice Applegate Sargent purchased the 1855 Brunner Building at the corner of Main and S. Oregon streets with the goal of creating “a repository for pioneer relics.” The museum opened briefly for the society’s annual meeting in October 1924, then had its formal opening February 27, 1925. Open on Tuesdays and Fridays, local newspapers reported that it attracted so many visitors that Mrs. Sargent and her assistant were kept very busy!